Get a non sinking rubber ball on rope for mastiff water games. Diameter: 2 in (5 cm). Mastiff Puppy Toy - The Best Rubber Dog Ball for Puppy! 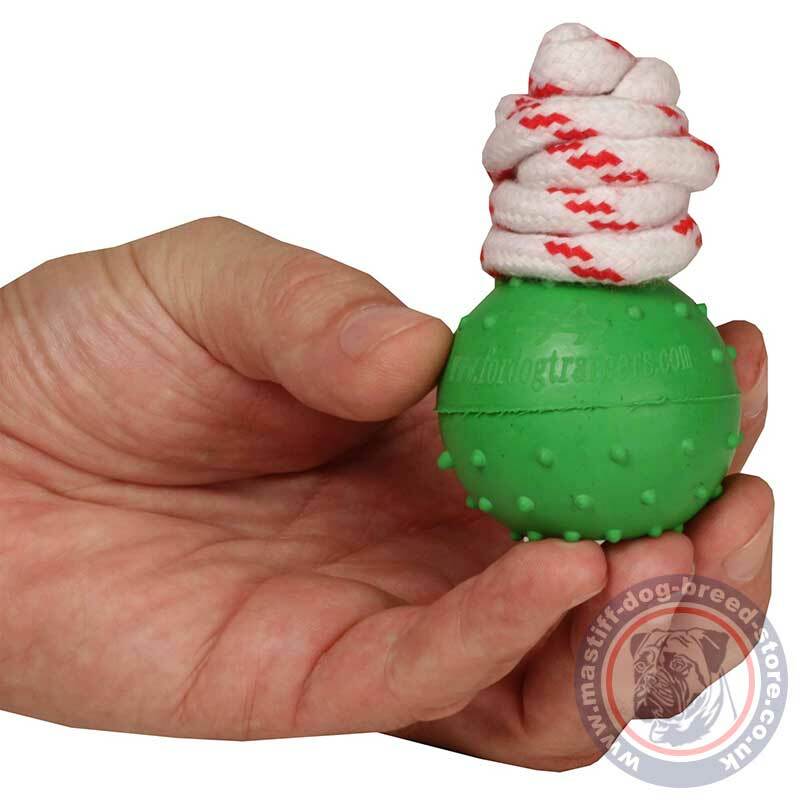 Mastiff puppy toy is a new, quality, solid rubber dog ball, made of safe and strong rubber. Does your dog like to chew? Get this chewing rubber dog ball! This way you will secure your household items from the querious teeth of your Mastiff puppy. Puppies like to taste everything with their teeth. They need it naturally, as their teeth are growing and forming and need exercise and massage. This rubber dog ball is a perfect tool for dog biting, chewing of your Mastiff puppy. Rubber dog ball may be also used for outdoor interative games of your Mastiff puppy. Fetch it with the help of rope and let the puppy catch and bring it back to you. The rubber dog ball is light and non-sinking in water. You will not lose it playing with your pet at the river bank, lake or the sea shore. Mastiff puppy is an active and cheerful creature. To keep your dog happy and healthy, buy different dog toys for your pet. One of them surely should be made of strong rubber to massage dog teeth and satisfy its instincts of biting and chewing. 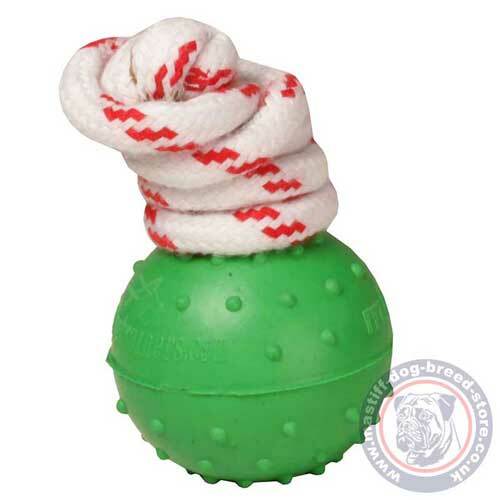 The size and material of this rubber dog ball are perfect for Mastiff puppy games, chewing and training. Important! When you choose a dog toy, turn attention to its size. It should not be too large or too small. It should be the enough size for a dog to take it with its jaws, but impossible to swallow it. Note it for the safety of your dog.